The ease, speed and ubiquity of digital photography has almost entirely displaced film in the 21st century. However, at Northwestern University, some students are learning the craft and keeping the medium alive. 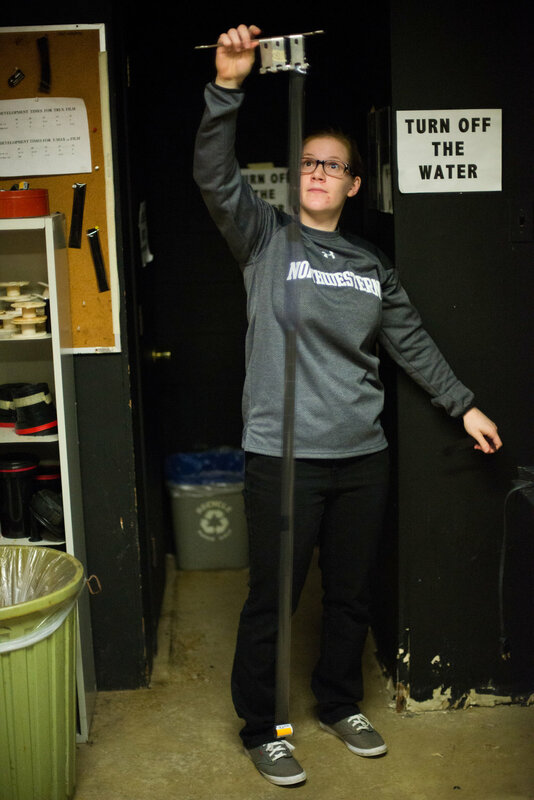 Northwestern’s Intro to Photography class, taught by Professor Pam Bannos, teaches students to shoot, develop and print 35mm format black and white film. Students then use the ARTica darkrooms in the underground level of Norris University Center for developing and printing. Not all of Northwestern’s film photographers are currently enrolled in Intro to Photography, though—after completing the course, many students continue shooting with the equipment and knowledge they acquired in the class, or shoot to branch out from digital photography. Northwestern University senior Cara Franke loads a roll of black and white film into her camera. Franke places the film into the chamber on the left side, then pulls it to the right before closing the camera’s back and winding the negatives into place for shooting. 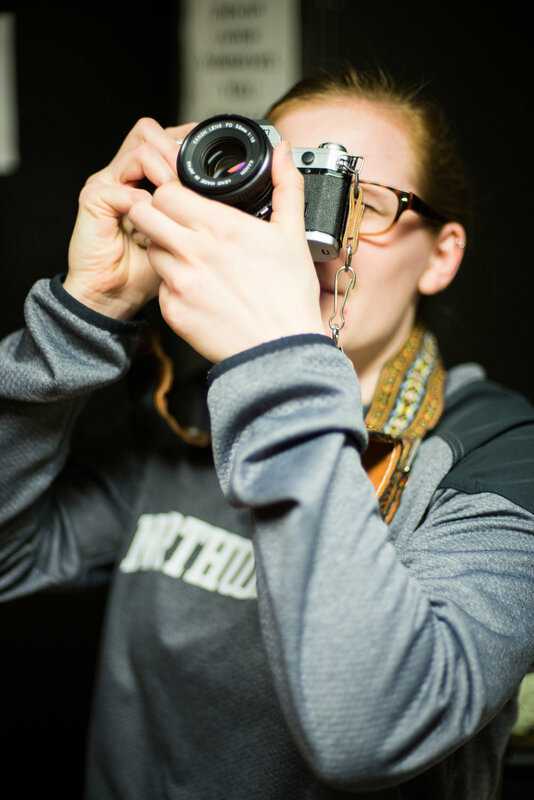 For assignments in her Intro to Photography class, Franke uses 400 speed film, which has a medium sensitivity to light and can be used both indoors and outdoors. Using previously developed negatives, Franke demonstrates how to develop film by spooling it onto the white reel and placing it inside a tank. This task must be done in complete darkness to prevent any excess light from touching the undeveloped film, she said. Franke examines a developed, unspooled roll of film left to dry in a Norris darkroom. Once fixed and rinsed with water, the negatives are clipped to a rack and dry hanging vertically with the canister weighing them down, she said. Northwestern sophomore Anna Kubacsek uses the safety light to examine a plastic sleeve of her developed negatives. “I took a gap year between high school and college, and I really got into photography then, but I’d only used my dSLR,” she said. “I was really interested in analog photography, but didn’t want to experiment with it because I didn’t know how it was going to come out.” Kubacsek took Intro to Photography fall quarter her freshman year and has shot film ever since. Flipping through her binder of negatives, test sheets and prints, Kubacsek searches for the contact sheet that will tell her how long she should expose her print to light. Printmaking works the same way as developing film—a photosensitive surface is exposed to a controlled amount of light, then immersed in developer, stopper and fixer chemicals and hung to dry, said Kubacsek. Kubacsek checks her test sheet again before turning on the enlarger and exposing her print. Film appeals to her because of the level of control it allows, she said. “From the moment you decide ‘Oh, that looks cool, I’ll take a picture of it’ to ‘This is a printed picture!’ you’re involved in every single step,” she said.